Modhumoti Bank Job Circular has been Published. This Privet Bank is One of the Best Financial And commercial Organization in Bangladesh, ” There vision is to lead the new generation of local commercial banks by exceeding in customer delivery through insight empowered workers, intelligent use of technology and a full range of highest quality stocks and services. Modhumoti Bank And Their Mission is Active Customer Service, Keep Sustainable Growth, Obey Strong Business Honor, Award Quality Economic Services with the modern technology, Provide Level return of Shareholder’s equity, Interest and engage qualified human source. In Talk, if you Want A Job Then Do As Rank Or Bank, Bank Job is a Smart Work, Anyone wants to do a quality full bank. Support sustainable increase is the main factor to increase financial And Commercial growth. This case, Modhumoti bank earns more credit all around Bangladesh. Modhumoti bank is following powerful business values to bear in our country. As Many Infomation About Modhumoti Bank Recruitment See Below The Original Circular Which Published By Thier Own Bank Authority. For Audience, We Advertise This Circular As JPEG File. I hope you read the bank jobs new circular. Now you should apply fast then other. because the empty seat is few. Thank you. 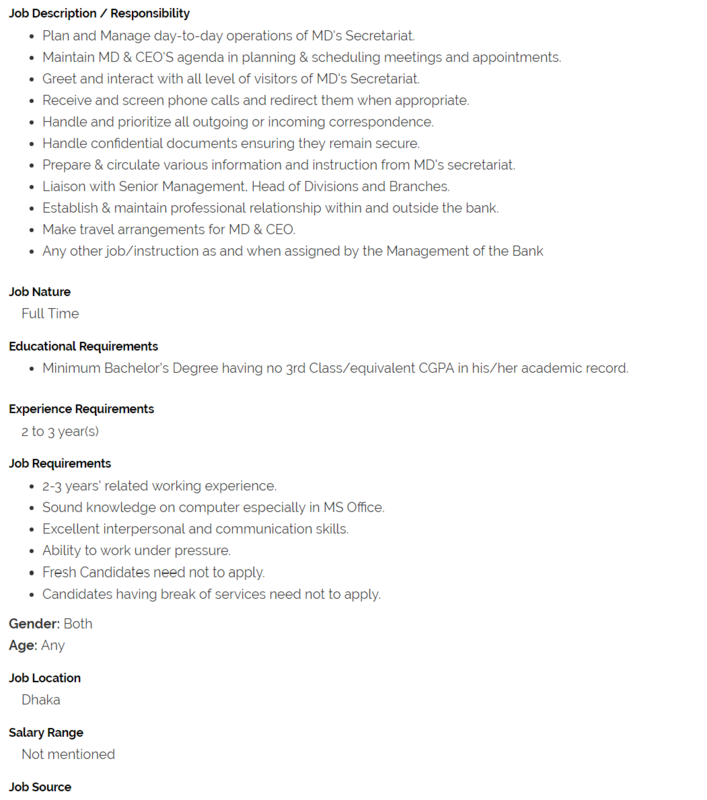 visit our all bank jobs in 2019.